It is easy to know that you are being harassed by debt collectors but it is another thing to be able to adequately document it so that you can recover damages under the Fair Debt Collection Practices Act. To that end, it is really important that you try to document any interaction that you have with your debt collectors, keeping good records of all calls or letters that you receive. We can help by providing a log so that you can keep a sound admissible record of when your collectors are calling you, what they are saying and how it made you feel. So contact me anytime so that these violations don’t fall through the cracks. 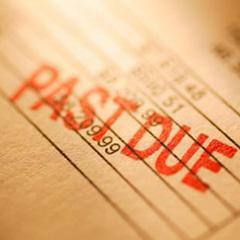 Have Debt Collectors Violated the FDCPA? any other conduct that is unfair, untrue, undignified, or disrespectful. The important thing to remember is that if a debt collector violates the FDCPA, you have the right to sue them, and if you win the case, receive up to $1,000.00, plus any actual damages that you’ve suffered. In addition to the FDCPA, damages are also available under both Oregon and Washington state law. And the debt collector must pay your attorneys’ fees and any out-of-pocket costs. In other words, if you win your case, you get $1,000, any provable actual damages, a free lawyer, and your litigation costs paid for. Since damages are recoverable, it is incredibly important that the violations be documented accurately. So save every letter you get from a debt collector, including the envelope. Take detailed notes of every conversation you have with a debt collector. Get the log from us so that you can start building a record and make copies, include notes of everything that just doesn’t feel right to you. When you come in for a free appointment bring in your debt collector contact records with you. We can help figure out whether a debt collector has violated the FDCPA. If they have, we can discuss whether suing them is a good option for you.